Neat looking small hatchback. Uses some of the same engines as MINI. 1.6 HDi is the best in the range. Excellent ride quality. Lacklustre handling. Interior looks good on the surface but lacks quality in depth. Report of repeated cracking of wrapover screen of 2012 Citroen C3. Has been replaced 3 times on the same car. Has now cracked again, right across on the inside this time, just above the bend. Small hatchbacks make such a crowded sector of the market that no manufacturer can expect to come up with just another one and expect it to sell. Citroen, being Citroen, played it a bit different first time around with its original C3, making the car a bit taller and a bit more mini MPV-like than a run of the mill supermini. In France the authorities considerately place a small set of traffic lights at eye-level, so if you can't see the overhead lights you still know when to get moving before the horns behind you start to blare. So Citroen's designers must have travelled to more backward countries like the UK to realise the need we have to see the lights when were are first in a traffic queue. Hence the new Citroen C3's unique feature. A screen that doesn't stop until it's on top of your head. Citroen calls it, "a touch of glass". Called the ‘Zenith' screen, it is progressively tinted front to back, so you don't get progressively tinted. Instead of the normal 28 degree angle of vision it gives you 108 degrees. And if it's all too much you can pull a rooflining down to where the screen top rail would normally be. 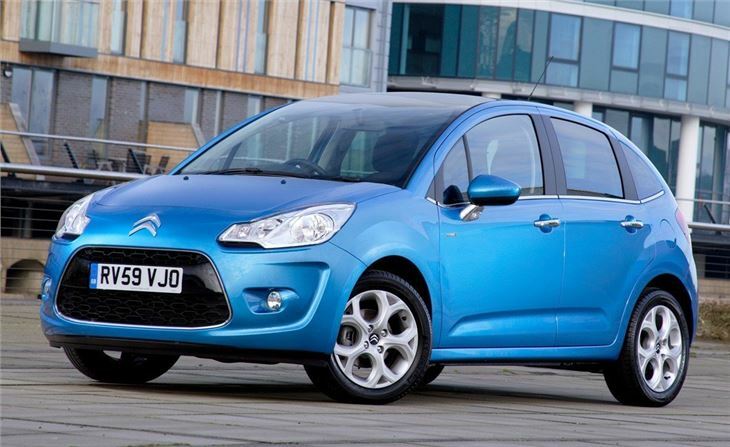 For private buyers, the new C3's biggest enemy is the C3 Picasso. Why would you buy less car for the same sort of money?